Recently, Vines and Roots a local distributor of pure, natural and organic skincare products sourced from South Africa sent over one of their star products of the month - the Sunumbra Sunkids all-natural sunscreen for us to try out. While Kaitlin does use organic and natural shampoo and bath products due to her sensitive skin, we have yet to try out an all-natural sunscreen so I immediately let Kaitlin try out the Sunumbra Sunkids sunscreen when we went for our swim the weekend we received this product! As you can see most of the ingredients are from plant extracts and have 100% natural certification, are eco-certified organic or wild-sourced. Additionally, the sunscreen is 100% free of harmful chemicals, ensuring that it's gentle on our child's skin. This broad-spectrum sunscreen has SPF 40 and provides the highest level '5-star' protection against UVA radiation. UVA radiation is the main cause of melanoma and accelerated skin ageing. While our kids may be young, it's never too early to start protecting their skin from the sun's harmful rays. Sunumbra sun care range of multi-defense products are not just natural but also effective. The are a total of 5 products in their sun care range, each of which have been formulated to meet different needs and lifestyles. Their oil and alcohol-free products are infused with powerful antioxidants and photoprotective extracts ensuring that we get the protection we need which is especially important in Singapore's sunny weather. What's special about the Sunumbra Sunkids sunscreen is that is has a pH balance that accommodates the higher alkalinity of our children's skin. In fact, the dermatologically approved sunscreen can be used for kids and anyone with dietary, environment or sensitive skin concern. Application is easy. Based on the directions, apply the Sunumbra suncreen 15 minutes before exposure to sunlight and reapply every 2 hours. The product is water resistant for 40 minutes, so if the kids are in the pool it would be best to apply after 40 minutes instead of 2 hours later on. My suggestion is to give the tube a good shake before squeezing it out as I didn't shake well the first time and the oil and cream components came out separately. With a good shake, it was alright. It's suggested to store the tube below 30 degrees°C. Since SG's weather is usually pretty hot, it would be best to store it away from direct sunlight and probably somewhere cooler. 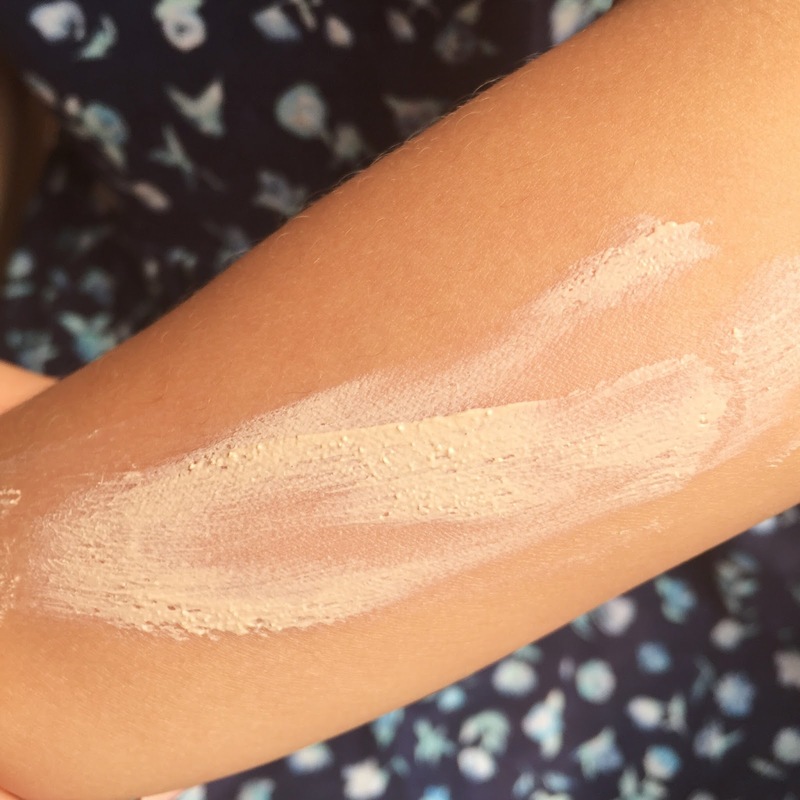 If you're child is picky about the products you apply on their skin, the Sunumbra Sunkids sunscreen is a good option to try out as I personally felt that it is not overly sticky nor does it leave any heavy residue. It also does not have an overpowering fragrance. It's smooth and spreadable texture makes it easy for kids to apply the sunscreen on their own. Thus far we find the Sunumbra Sunkids sunscreen effective and it hasn't caused Kaitlin to itch or have any rashes, so it's become our go-to sunscreen for Kaitlin when we head out. Kaitlin's able to apply the sunscreen on her own, and she didn't have any complains about the product. In fact, she'll remind me to apply it when she knows we're heading outdoors to play or going down for a swim. The Sunumbra Sunkids sunscreen is priced at $69 can be bought online at Vines and Roots. Compared to other baby/kid sunscreens, this product is on the pricier side but I find it is money well-spent as it is a safer alternative to most commercial sunscreens that contain harmful chemicals. I personally rather pay more for a product that is gentle on Kaitlin's sensitive skin, and effective in providing good sun protection. 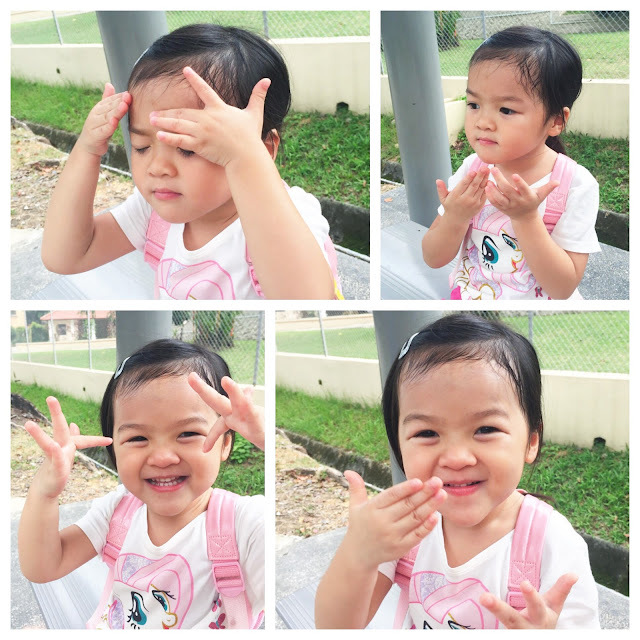 I feel that the Sunumbra Sunkids sunscreen is worth trying out especially if your child has sensitive skin or if they are outdoors most of the time. Vines and Roots provides free islandwide shipping for orders above $79. As the Sunumbra suncare range is the star product for September, any purchase made this month from this range entitles you to a 20% discount! If you're into using natural and organic products, Vines and Roots carry other trusted brands from South Africa with a whole range of products for the whole family. Besides skin and body care products, they also carry hair care products and have a selection of kid and baby friendly products. Gift sets are also available. For the latest updates on their products and promotions, you can also head on over to their Facebook page. Disclaimer: We were sent the Sunumbra Sunkids Sunscreen for the purpose of this review. All opinions are our own and were not influenced by any external factors.